New Delhi: VPS Rockland Hospitals, Manesar and Dwarka have achieved another milestone by accomplishing NABH accreditation (National Accreditation Board for Hospitals and Healthcare Providers) in recognition of meeting the highest quality standards in the healthcare. “This prestigious accreditation could not have come at a better time in supporting us to achieve our strategic goals to put VPS Healthcare in line with the best healthcare service providers in India. VPS Rockland Hospitals strive for excellence both in clinical and service standards. With state-of-the-art amenities and world-class services, VPS Rockland hospitals focus on providing high quality healthcare that is at par with global standards. 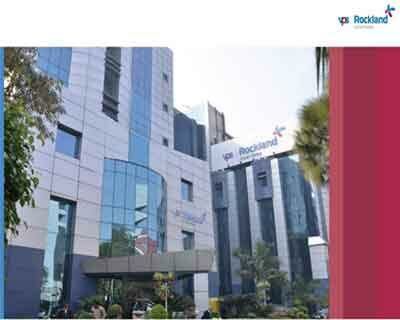 Owing to the challenging needs in the growing healthcare landscape, it is our constant pursuit to create a healthcare system that is accessible, affordable and sustainable.” Dr. Shamsheer Vayalil, Chairman and Managing Director, VPS Rockland Hospitals. Our hospitals maintains the superior quality level with a focused approach on its continuous improvement and we have always been committed to create a culture of quality excellence and patient safety to improve positive outcomes for the patients. The accreditations is an added feather in our endeavor to provide quality healthcare and spread awareness on healthy living among the people. VPS Rockland Hospitals apart from having set high standards in clinical care, has been working on various healthcare awareness drives to create a positive impact on the lives of people. “Quality is always the result of intelligent efforts”- We at VPS Rockland are determined to bring a healthcare transformation in India and successful accomplishment of NABH accreditation for all our facilities truly recognizes the persistent efforts of our Medical Team and the Management.